This unit is located in a central part of Tauranga, in a quiet family and mature residence based area. Locals are often seen out walking dogs, riding bikes and having barbecues at the local Ferguson park. A great escape for the weekend or a base for a longer holiday. For exploration of the Tauranga sites and city, a bus stop is located very conveniently near the house. This will allow visitors access to Mount Maunganui beach, the city central restaurant and bar hub and other local attractions. Owner who lives on site is also available to provide some transport at a small cost to other local attractions not accessible via bus. No pets are permitted anywhere on the property. Noise must be kept to a respectful level due to the nature of the local residence and owner living on site. Small child/ren considered on application, portacot, bedding and other items may be provided at additional cost. Airport pick ups/drop offs available on request for additional cost. We had a very pleasant stay at this property and were very happy. The place was very well equipped with everything you need. The host even went the extra mile for our 2 year old son, supplying toys and a baby bath. 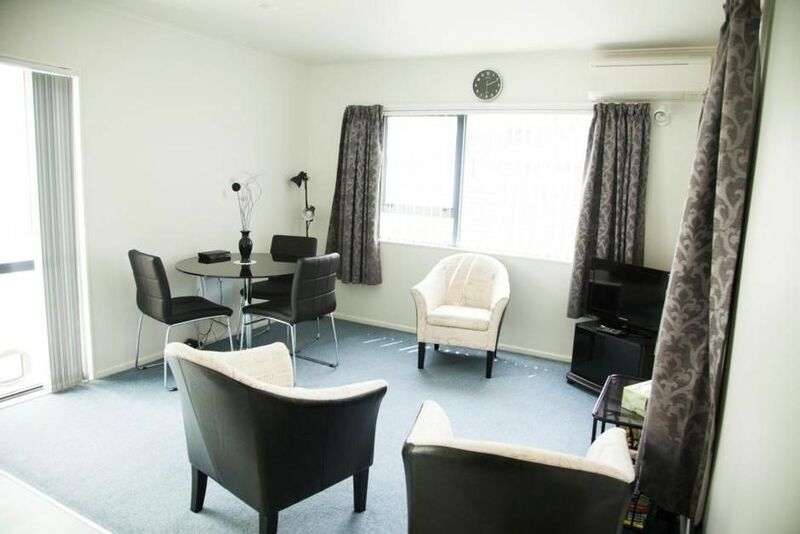 The apartment is very private, well presented and clean & tidy. Sue is very friendly and an excellent host. You are most welcome a pleasure to meet you all. Lovely place with aircon and a fantastic host. Everything one would want for two persons, equipment all one could want, comfortable and easy to get into town or beach at a reasonable price. Lots of little extras like breakfast supplies. Property her clean and tidy making the stay very comfortable and pleasant.